If you are dealing with the inheritance of shares held in Australian or New Zealand companies – such as shares in Commonwealth Bank of Australia, Brambles or ANZ Bank for instance – you will need to follow the relevant process so that the inherited shares can be transferred or sold. If the shares are in an Australian company, you will need to understand the requirements of the share registrar in Australia, whether it be Link Market Services, Computershare or another registrar. The process required will depend on the value of the shares. The Australian share registrar will have a certain value limit, above which they will require you to apply for an Australian Grant of Probate or (if a Grant of probate has been issued in another country such as in the UK) reseal a grant of probate in Australia. Therefore you will need to instruct a lawyer in Australia to assist you with this. The situation is similar in New Zealand. The registrars for the New Zealand company that the shares are held in will require a Grant of Probate in New Zealand or a resealed grant of probate in New Zealand before they will take instructions to sell or transfer the shares the executors or beneficiaries, if the value of the shares is above a certain amount. A lawyer in New Zealand should be instructed to handle the process. The most common shareholdings in New Zealand are dealt with by share registrars Link Market Services and Computershare but the situation is similar for other registrars too. The process of resealing in Australia or New Zealand is only available where the original grant of probate was issued in a country where the Queen of the United Kingdom is the head of state. These are: Antigua and Barbuda, Australia, Bahamas, Barbados, Belize, Canada, Grenada, Jamaica, New Zealand, Papua New Guinea, St. Kitts and Nevis, Saint Lucia, Saint Vincent and the Grenadines, Solomon Islands, Tuvalu, United Kingdom. Where the process of ‘resealing’ is not available, a full application for a Grant of Probate or a Grant of Letters of Administration be required in Australia or New Zealand (wherever the shares are located). Worldwide Lawyers regularly assist beneficiaries of executors who are dealing with the shares in the name of a deceased person in Australia and New Zealand. Contact worldwide lawyers on 01244 470339 or info@worldwidelawyers.co.uk for more information about dealing with the inheritance of shares in Australia or New Zealand. 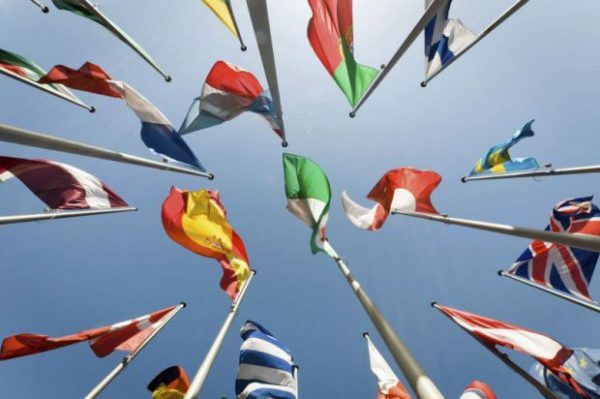 Worldwide Lawyers can assist with resealing a Grant of Probate from any of the above countries as well as assisting where a reseal is not available. Often, when dealing with the inheritance of Australian and New Zealand shares it will not immediately be apparent to you or the share registrar that a reseal is required or available, and you may therefore be asked by the share registrar in to fill in documentation. It is advisable to seek legal advice before filling in any paperwork requested by the share registrar or bank as this can cause unnecessary complications further down the line in some circumstances. Your lawyer in Australia or New Zealand will also be able to offer you guidance and assistance relating to any capital gains tax owed. If the plan is for the shares to be sold, consideration should be given to whether any currency exchange will be required and the effect that this will have on the amounts received by the beneficiaries. If Australian shares are sold, the sale proceeds will be in Australian dollars. If New Zealand shares are sold the sale proceeds will be in New Zealand dollars. If those sale proceeds will need to be transferred to someone in another country, in another currency, careful consideration should be given to how you will deal with the currency exchange. Failure to do so can deplete the proceeds of the sale considerably and unnecessarily. Worldwide Lawyers always recommends to anyone who will be receiving or transferring funds between currencies that they speak with a currency specialist as early as possible. A good currency specialist will be able to assist you with ensuring that you get the best currency rate when repatriating funds received after selling Australian shares or New Zealand shares. For more information about how currency exchange companies can save you up to five per cent of the amount transferred, compared to using a high street bank, read our article: When should you consider using a currency exchange specialist? Worldwide Lawyers will be happy to recommend a suitable currency specialist who can assist you with getting the best exchange rate when repatriating the proceeds from the sale of shares in Australia or New Zealand. The services of the currency specialist are free. In Australia and New Zealand, most shares are bought and sold through the global share registry Link Market Services. If you choose the sell your shares, it’s important that you keep copies of your acquisition and disposal statements (i.e. the ‘buy’ and ‘sell’ contracts) and your dividend statements. 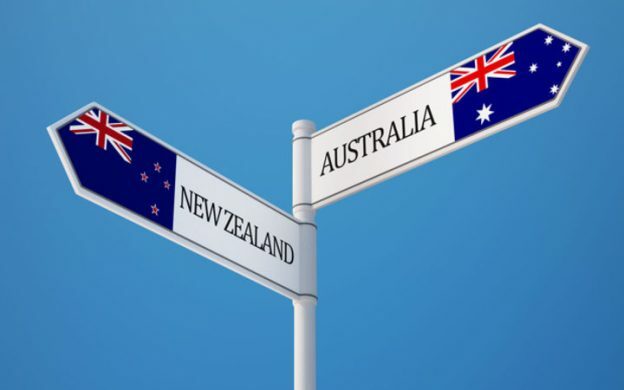 If you need advice on inheriting shares from Australia or New Zealand, contact Worldwide Lawyers on 01244 470 339 or email us at info@worldwidelawyers.co.uk. Our friendly and knowledgeable team will be able to put you in touch with a lawyer in Australia and New Zealand who have experience in the inheritance of Australian and New Zealand shares. Need an affidavit from a foreign lawyer? If a person who is domiciled outside of the UK dies owning assets in the UK, the probate registry will usually ask for an affidavit of foreign law (also know as declaration of heirs or certificate of heirs) before issuing the Grant of Probate/ Grant of Letters of administration to the executors or administrators of the estate. What is an affidavit of foreign law? An affidavit of foreign law (also known as an affidavit of law or evidence of law) is a sworn statement clarifying the inheritance laws of the country where the deceased was domiciled. It must prepared by a suitably qualified/ experienced lawyer familiar with the laws of the country where the deceased was domiciled or by a notary practicing in the country of the deceased’s domicile. The affidavit of law should set the relevant inheritance law of the place of domicile in relation to the succession/ distribution of the assets, and who is entitled to apply for the Grant of Representation. Why is an affidavit of foreign law required? An affidavit of foreign law is usually required in order to obtain a Grant of Probate or Grant of Letters of Administration (collectively known as a Grant of Representation) where the deceased died domiciled outside of the country where the probate application is being made. The Probate Registry requires the affidavit of foreign law so that they can ensure that they will issue the Grant of Representation to the person entitled under the relevant laws. An affidavit of law will not usually be required where it is possible to re-seal a Grant of Representation that has already been issued by another country. How do I get an affidavit of law? If you are a lawyer or personal representative of an estate where an affidavit of law is required from a foreign lawyer for an application for a grant of probate or letters of administration whether in the UK or elsewhere, Worldwide Lawyers can help. We can put you in touch with a suitably-qualified English-speaking foreign lawyer who can provide an affidavit of law to support a probate application. Contact us on (+44) (0)1244 470339 or at info@worldwidelawyers.co.uk for more information and to get a quote. We can assist with affidavits of foreign law for England, Scotland, Spain, France, Turkey, Portugal, Italy, Switzerland, Hungary, Belgium, Greece and more.. In an increasingly international community, more and more people are investing in property abroad, holding bank accounts in multiple countries, as well as having shares and other investments in foreign countries. This means that handling probate abroad is also on the rise, and it can be a challenge. Cross border inheritance rules and taxation issues can mean that the administration of foreign estates can be complicated and time-consuming. Dealing with estates where there are foreign assets can be complicated and a lawyer in the foreign jurisdiction should be consulted as soon as possible. If you are a lawyer or personal representative dealing with an estate with foreign assets, contact Worldwide Lawyers on 01244 470 339 or at info@worldwidelawyers.co.uk to discuss how we can help you to deal with the foreign estate efficiently and cost effectively. One of the first tasks when dealing with the administration of an estate is to establish whether the deceased held a will. It is possible, however, that the deceased had multiple valid wills in different countries. For example, when buying property abroad purchasers are usually advised by their foreign lawyer to make a will in that country to cover that property. If someone has lived in a country for many years, they may have at some point made a will there, and that will may still be valid. If you are dealing with a deceased who has interests in foreign countries, care should therefore be taken to identify whether there are any wills in any other countries which may affect the administration of the estate and /or specify how the foreign assets are to be dealt with/ who will inherit the foreign assets. They should also be reviewed to check that the foreign will does not actually revoke or conflict the will you have in front of you or visa versa. In some European countries – including Spain, France and Italy – there is an official central wills registry, which can be used to check whether a foreign will has been made, which is the most recent version and who holds the original will. Verifying this should be a first port of call when dealing with probate abroad and can save a lot of time, trouble and embarrassment in the long-term. A death certificate is normally required to access the information held by the central wills registry and foreign death certificates, ordinarily, must be legalised in the country of issue and translated, if necessary, by an approved translator. If you are dealing with an estate administration with foreign assets, contact Worldwide Lawyers on 01244 470 339. We can provide free information, guidance and recommendations for English-speaking foreign lawyers. 2. Consider any deadlines in the foreign jurisdiction, and don’t delay! Failing to consider deadlines in the foreign jurisdiction, such as the notification of death, the inheritance tax payment due date, for instance – is a common, but costly mistake. It is therefore important to find out this information from a lawyer in the foreign jurisdiction as soon as possible, to ensure that any deadlines are met. Even if the estate in the UK is not subject to UK Inheritance Tax, inheritance tax may be due in the foreign country so you will need to quickly establish this and ascertain if there are any deadlines that need to be considered. If you wait until the UK estate has been dealt with before turning to deal with the foreign assets you may find that the estate or beneficiaries will be liable to interest, fines and/or penalty charges. You may also need to ascertain whether there are any liquid assets available that may need to be used to settle any foreign taxes. The six-month rule, regarding the payment of inheritance tax, is common across most European countries, however, it should be noted that there are differences between each country as to when that period starts from. In many countries, such as Spain and France, the payment of inheritance tax can be extended . However, an extension application must be filed within a certain period of time. In Spain a 6 month extension for paying Spanish inheritance tax a can be obtained by applying for the extension by the end of the fifth month following death. In France, the tax authority is able to grant even more additional time – up to three years, and 10 years in the case of business inheritance – to pay the taxes due, but an application must be made in time. Given that some countries charge interest if the inheritance tax is not paid on time, it’s important to check these details out in advance as it could save the estate/ beneficiaries unnecessary charges. In some jurisdictions, the beneficiaries are required to formally accept or decline their inheritance and there are usually tight deadlines in relation to this. It should also be noted that in some countries, the beneficiaries inherit both the assets and the debts of the deceased. The beneficiaries may need to take action to ensure they receive their inheritance or are able to waive their inheritance in the event that the debts exceed the assets. In Germany for example, a client is deemed to accept the inheritance if it has not been waived within the applicable deadline. For example, while in UK the deadline to register a death is five days (eight days in Scotland), in Spain and France a death must be registered within 24 hours, whereas in Portugal, you have 48 hours to register a death. While it’s likely that the registration of death will already have been dealt with by the time an heir seeks legal advice, it’s worth checking. 3. Consider the effect of currency exchange on the value of the assets. When re-patriating assets from a foreign country to the UK, the exchange rate can drastically affect the final amount of inheritance received, especially when dealing with large estates. High street banks offer very poor exchange rates when overseas funds are directly transferred into a UK bank account (including an executors or a solicitor’s client account). Plus, they often charge additional fees and commissions just to move money from abroad. The most cost-effective way of receiving or sending money internationally is to use a reputable currency exchange specialist, who can assist with transferring the money and converting the currency. Typically, currency exchange specialists offer currency exchange rates that are 3-5 per cent better than high street banks, which means the client will retain 3-5 per cent more of the funds. For instance, if you were transferring the equivalent of £100,000 directly into your client’s account, using a currency specialist to convert the currency could save your client up to £5000. The services of a good currency specialist are usually free but can save the beneficiaries and estate a significant amount. Failing to consider this can unnecessarily cost the estate thousands of pounds and the executor/ solicitor could be deemed to not be acting in the best interests of the estate beneficiaries if this is not properly considered. For details of a recommended currency exchange specialist and to discuss how they can assist you and your clients, please get in touch with Worldwide Lawyers on 01244 470 339 or email us at info@worldwidelawyers.co.uk. One of the most common mistakes lawyers or Personal Representatives make when dealing with an estate with foreign assets is to try to deal with the foreign assets without the assistance of a foreign lawyer. In some cases, if the asset is very small for instance, it may be possible to deal with it without any formal legal process being followed in that country. However, in most countries the local inheritance process must be followed in order for the foreign assets to be released to the estate/beneficiaries regardless of the value. For example, a Grant of Representation or Reseal is required to deal with assets in Malaysia and South Africa even if the value of the asset is small. In Spain and France, an Inheritance Deed will usually be required to deal with any assets held there. It is also common for communication provided in English to be ignored by the bank, share registrar or whoever is holding the assets if that is not the local language. Trying to deal with the foreign assets without the assistance of a lawyer in that country is likely to cause delay and increase costs long-term to the detriment of the estate and beneficiaries. If you need the assistance of a foreign lawyer contact Worldwide Lawyers on 01244 470 339 or email us at info@worldwidelawyers.co.uk. Our friendly and knowledgeable teams who will be able to provide assistance and put you in touch with an English-speaking lawyer in the required country. It is becoming increasingly common for lawyers to come across cases where funds need to be sent to or received from a foreign country. For example repatriation of foreign assets in an estate matter, debt recovery where assets are located overseas or acquisition of a foreign company. The best way to transfer these assets between countries and currencies is however often not properly considered by lawyers who are therefore inadvertently and unnecessarily costing their client several thousands of pounds. Dealing with a case involving foreign assets? Contact Worldwide Lawyers on 01244 470339 or email info@worldwidelawyers.co.uk. We can advise regarding the best way to transfer the funds and can make sure that you get the best exchange rate for your client, helping you to save your client thousands. If money is to be sent to or received from overseas, the foreign currency will therefore need to be converted before in can be received into your firm’s client account or sent to the recipient’s account. To ensure that you are acting in your client’s best interests and to ensure as much of these funds as possible are preserved for client, proper consideration should be given to the best way to receive the funds. 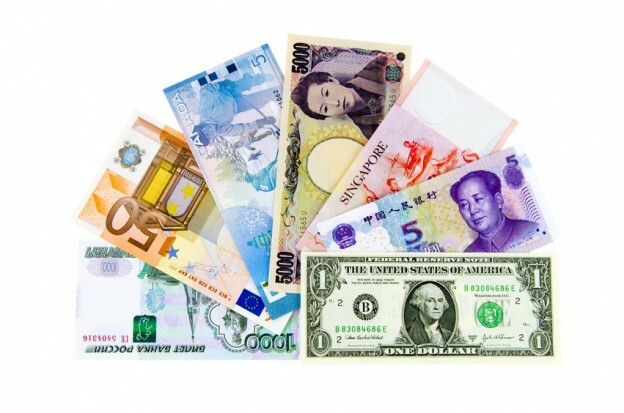 The rate of the currency exchange can have a massive impact on the overall amount received/paid however it is often overlooked by lawyers when dealing with overseas transactions. When repatriating foreign assets or sending funds abroad, many lawyers often just blindly entrust the transfer to the bank allowing them to convert the money into the required currency without considering the rate offered by the bank and the impact this could have on the overall amount received / paid. Exchange rates are however one of the ways in which High Street banks make enormous profits at the expense of their customers, including law firms. Bank exchange rates tend to be very uncompetitive and may also be accompanied by commission charges just to transfer the money overseas. This rarely achieves the best result for your client and can often end up unnecessarily costing the client a significant amount. What is the best way to send/ receive money internationally? The most cost effective way of receiving or sending money internationally is to use a recommended currency exchange specialist to assist you with transferring the money and exchanging the currency rather than receiving or transferring the funds directly into a high street bank account. The services of a good currency specialist are usually free but can save a significant amount. The reason for this is because currency exchange specialists typically offer currency exchange rates that are 3-5% better than high street banks meaning 3-5% more of the funds will be preserved. For example, if you were transferring the equivalent of £100,000 you could costs your client up to £5000 by transferring the funds directly into your client account and allowing the bank to convert the currency. In addition to this, high street banks often charge fees and commissions just to move the money from overseas. The service of a good, recommended foreign exchange specialist however is free. Worldwide Lawyers can recommend a Currency Exchange Specialist who is used to assisting lawyers and their clients with international money transfers. All Currency Specialists recommended by Worldwide Lawyers are registered and authorised by the Financial Conduct Authority as well as fully regulated by HMRC. The reason that currency specialist companies are able do this is due to the volume of foreign currency transfers they make and the fact their sole aim as a business is to offer superior exchange rates compared to the banks. Currency specialists can also advise you about the timing of the currency transfer to help you ensure that you help your clients receive the most from their funds. You are dealing with an estate where there is a bank account in Germany with a balance of €200,000. You are based in the UK and need to receive the funds into your UK client account. You will therefore need to convert your €200,000 into Pounds Sterling. By using a currency specialist instead of a bank your client would have received £8000.00 more. As set out in the example above, a small amount of research and planning can make a vast difference to the amounts actually received and can add a considerable amount of value for your client. By helping them receive / make payments in the most cost effective way, you can often save your client more than your fees have actually cost them, adding real additional value for your clients!! It is recommended that anyone repatriating foreign assets or arranging to transfer money abroad, contacts a currency specialist rather than risk leaving the transfer to the banks. A good currency specialist will be happy to give you some no-obligation information about the best way to deal with the currency exchange and how they can help you save your clients money. “If the solicitor is aware that funds will need to be received or sent abroad he may wish to discuss with his client at the outset how this will be achieved. If he is aware of such a service which would result in a considerable financial benefit to the client then, as he has an obligation to act in the client’s best interests (SRA Principle 4) and an obligation to disclose all relevant material information to his client (Outcome O(4.2) of the SRA Code of Conduct 2011) he should discuss the possibilities and any risks with his client and take the client’s instructions. For details of a recommended currency exchange specialist and to discuss how they can assist you and your clients, please get in touch with Worldwide Lawyers on 01244 470339 or email us at info@worldwidelawyers.co.uk. All Currency Exchange Specialists recommended by Worldwide Lawyers are registered and authorised by the Financial Conduct Authority as well as fully regulated by HMRC. Worldwide Lawyers can also assist should you require details of a recommended foreign lawyer to assist you in dealing with legal aspects of your international matter. If you are a solicitor or executor dealing with the estate of someone who died owning assets in Spain or if you are a beneficiary inheriting property or other assets in Spain you will need to be aware of the Spanish inheritance and probate process. What is the Spanish Inheritance Procedure? The Spanish inheritance and succession process can be quite complicated to deal with, especially if you do not live in Spain or do not speak Spanish fluently. It is therefore strongly recommended that anyone dealing with the inheritance of an estate in Spain instructs an English-speaking Spanish lawyer who has experience of dealing with estate administrations in Spain for non-Spanish clients. It is important to ensure that the Spanish inheritance process is dealt with as soon as possible to avoid additional costs and penalties being incurred in relation to the Spanish estate. It is therefore strongly advised that you do not delay seeking advice if you are dealing with an estate which has Spanish assets. If you would like details of a recommended Spanish lawyer to assist you with a Spanish inheritance matter, please contact Worldwide Lawyers on 01244 470 339 or at info@worldwidelawyers.co.uk. The Spanish inheritance process itself involves a significant number of personal attendances at various offices in Spain. If the beneficiaries/ executors of a Spanish estate do not live in Spain, it is common for them to provide their Spanish lawyer with a Power of Attorney so that the lawyer may act on their behalf. Providing your Spanish lawyer with a Power of Attorney will mean that the entire Spanish legal process can usually be dealt with by the Spanish lawyer without the need for the executors/ beneficiaries to go to Spain. Any non-Spanish legal documents such as a Death Certificate may need to ‘legalised’ by the Foreign and Commonwealth Office, in order for it to be legally recognised/ admissible in Spain. In some cases, the death certificate must also be translated and certified by an official translator. The legalised and (if required) translated death certificate will need to be presented to the Central Wills registry in Madrid. Undertake a Spanish Will Search. Spain has a Central Wills Registry which registers whether or not a person has a Spanish Will. A search must therefore be carried out at the Spanish Central Wills Registry in Madrid to confirm the existence or absence of a Spanish Will. Each executor/ beneficiary is required to have a Spanish tax number before being able to deal with/ inherit from an Spanish estate. This Spanish tax/ fiscal number is known as an NIE Number. Spanish lawyers with experience of acting for clients in the UK or other countries will be able to assist in obtaining the required NIE numbers on behalf of the executors/ beneficiaries for the purpose of dealing with the Spanish inheritance. Your lawyer should be able to assist you if you do not have all of this information. If the deceased did not have a Spanish Will but had a will prepared in another country, then an official sealed copy of a Grant of Probate (or equivalent) obtained in that country may be required. Proof of the beneficiaries’ legal status and relationship with the deceased may also be required e.g. Birth and Marriage Certificates etc. An advantage of the existence of a valid separate Spanish Will (if there is one), is that it generally reduces the complexity of the Spanish probate process and the extent of the documentation which has to be produced to the Spanish authorities. Sometimes a Certificate of English Law / Affidavit of Foreign Law confirming the legal entitlement of the beneficiaries (or to provide any other legal clarification) may be required where the estate involves cross-border legal issues. If your Spanish lawyer is used to dealing with British and other international clients, they may have the expertise to be able to provide this themselves or will be able to assist in obtaining this for you. If you require an affidavit of foreign law / Certificate of Law or details of a suitable Spanish lawyer, Worldwide Lawyers can assist. Contact us on 01244 470 339 or at info@worldwidelawyers.co.uk. 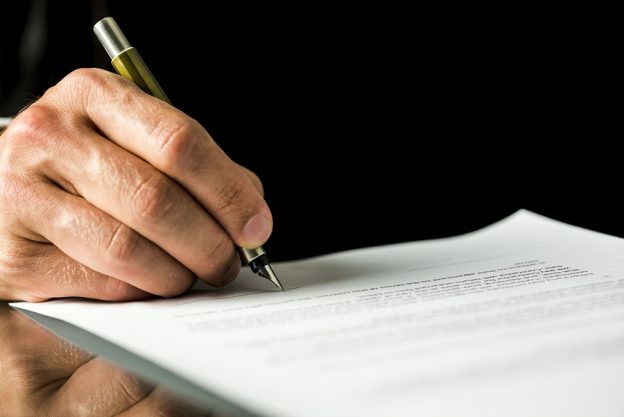 The relevant documents relating to the Spanish estate will need to be presented to a Spanish Notary together with a deed confirming the beneficiaries’ acceptance of the Spanish inheritance. This official Spanish Inheritance Deed must be signed by or on behalf of the beneficiaries in the presence of the notary in Spain. Once the Spanish Inheritance Deed has been signed, the taxes relating to the inheritance of the Spanish assets must then be paid. You should have obtained a detailed estimate of all applicable costs and taxes from the Spanish lawyer at the outset of the case to enable to executors/beneficiaries to arrange for provision of funds so that the tax payment can be made immediately following the signature of the official Inheritance Deed. In addition to Spanish Inheritance tax (Succession Tax), ‘Plus Valia’ Tax may also be payable to the local Spanish town hall if there is a Spanish property in the estate. For beneficiaries who are non-resident in Spain, tax payments require a personal attendance at the central tax office in Madrid. A Spanish lawyer can deal with this on behalf of the beneficiaries under the Power of Attorney. For residents of Spain, attendance is required at the tax office of the region of Spain where the deceased and beneficiaries reside. Payment of Spanish inheritance tax must be made within 6 months of the date of death. Late payments will accrue interest and payment penalties. Transferring Spanish Property to the Beneficiaries. Following the signature of the Inheritance Deed and payment of any Spanish Succession Tax, applications can be made to the relevant Property Registry in order for the Spanish estate assets to be registered in beneficiaries’ names. The Property Registration process may involve additional queries in addition to to those required by the Spanish Notary. Releasing funds from Spanish bank accounts. The deceased’s Spanish bank accounts can only be dealt with once the Spanish Inheritance Deed has been signed and Spanish Succession Tax has been paid. Succession of bank accounts in Spain is usually dealt with by the bank’s central legal department. Dealing with Spanish banks in Spanish probate cases can often be very difficult so it is advisable to have a Spanish lawyer to liaise with the bank on behalf of the executor/ beneficiaries. Once the above steps have been completed, the assets can be distributed to the beneficiaries. The beneficiaries may be required to open a Spanish bank account in order to receive the funds. For most beneficiaries who do not live in Spain, these funds will then be transferred to their own bank account in their home country. How To Avoid Losing Money When Distributing Spanish Assets: There can be a significant reduction to the amount of the Spanish inheritance funds actually received by the beneficiaries when these funds are transferred from Spain to the home bank account of the beneficiaries. If you are dealing with the administration of an estate in Spain, Worldwide Lawyers can help. Contact us on 01244 470 339 or at info@worldwidelawyers.co.uk for further information about the inheritance process in Spain. We can put you in touch with an English-speaking Spanish lawyer specialising in dealing with estates where there is property or other assets in Spain and arrange for a no-obligation quote.